Explosive device hurled at IDF troops in northern Gaza. No injuries reported. An explosive device was hurled at IDF troops in northern Gaza on Friday evening, the IDF Spokesperson’s Unit said. No injuries were reported. In addition, attempts to sabotage security infrastructure occurred. 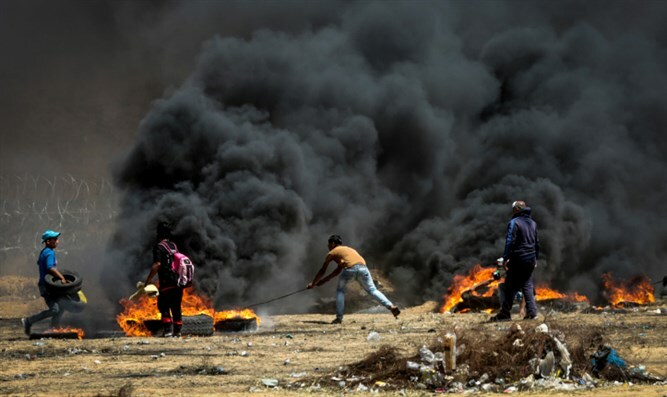 In another incident, approximately 1,600 rioters assembled along the security fence on the Gaza border. The rioters hurled rocks and burning tires. IDF troops responded with riot dispersal means and fire in accordance with standard operating procedures. 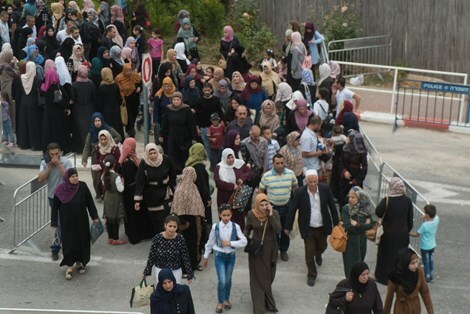 Meanwhile, some 87,000 Palestinian Arabs passed through the various crossings from Judea and Samaria to Jerusalem on Friday to take part in Ramadan prayers, the IDF said in a statement. In addition, during the day, about 8,000 worshipers visited the Tomb of the Patriarchs in Hevron. IDF forces are deployed in large numbers and are working in cooperation with the Israel Security Agency (Shin Bet), the Civil Administration, the Border Police and the Israel Police in order to allow the Ramadan prayers to go on while ensuring the defense of the local communities and roads and maintaining order and security.